James Dalton Snr arrived in the colony of NSW from Ireland on board the convict ship “Hive” on Christmas Eve, 1835. 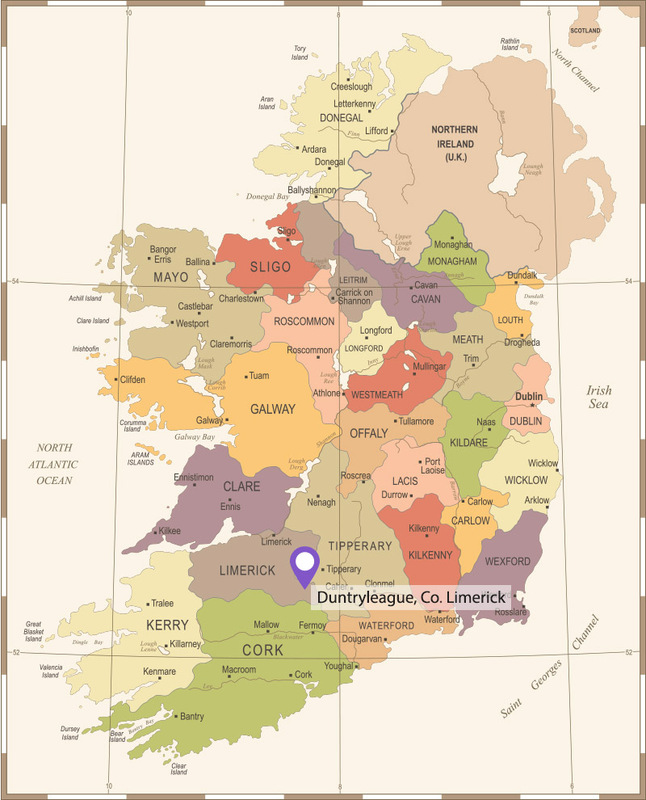 He had been given a seven year sentence for his part in an alleged abduction.At the time he had left behind in Duntryleague (County Limerick Ireland) his wife Ellen, and three young children, Michael, Margaret and James Jnr. In 1836, a grant of 640 acres of land, known as “Campdale” was made to William Ealy Simpson for which he paid 160 pounds. By 1837 James Dalton Snr was living and working in an area that had been settled west of the Blue Mountains. The muster of the colony shows that he was assigned to an Archibald at Bathurst. By 30th April 1840, James Dalton Snr had earned his Ticket of Leave. On 22nd April, 1842, James Dalton was granted his Certificate of Freedom, which allowed him to travel freely back to Britain, or remain as a free man in Australia. James Dalton Snr was a man of enterprise, and decided to set up a shop in Frederick’s Valley (Summerhill) a short distance from the site of the Village of Orange and near where Lucknow stands today. During 1847 James Dalton Snr applied to bring his three children out to the colony. His wife had already passed away and the two elder children, Michael and Margaret, had left Ireland for Canada. His younger son James made the journey to Australia, arriving in Sydney on the Panama on 14th September 1949. He was 15 years old at the time. James Dalton Jnr, who was born on the family farm at Ballinamona, Galbally, in the Electoral Division of Duntryleague, Co. Limerick, Ireland, and on arrival joined his father James Dalton Snr, assisting him with the running of their store at Fredericks Valley. In the same year 1849, James Dalton Snr acquired a portion of land of Campdale, which he named Duntryleague. James Dalton Snr had established a very successful business which he expanded greatly as a result of the discovery of gold at Ophir in 1851. James Dalton Snr remarried in 1851, and with his new wife Johanna Hogan (also from Co. Limerick) had six more children before his death in 1865. Also that year, his sister Ellen McCann arrived in Australia. In 1853 James Dalton Jnr set up his own business in a small 2 room shop at the corner of Post Office Lane. In 1858 his brother, Thomas, joined him from America and together they established the firm of Dalton Brothers who were later joined by their half-brother Michael. As the years went by they acquired substantial land holdings in the Orange district extending from Ophir to Cheeseman’s Creek which encompassed Lookout, Kangaroobie and Amerdown Stations. In 1861 James Dalton Jnr married Margaret Collins of the Springdale Collins family and together they had a total of twelve children. Thomas Garret Dalton, who later became Mayor of Orange. Eleanor married Major William Redmond MP, one of the leaders of the Irish Nationalist Movement and a member of the House of Commons who was killed in action in the 1914 – 1918 war. Also in 1861 James Dalton Jnr opened the first flourmill in Orange at the corner of Summer & Sale streets. The mill was an instant success and won several international design prizes. The mill was demolished early in this century and a new mill was erected in Piesley Street. It was demolished in the early 1960s. The Dalton brothers then turned their attention to Sydney where they established a warehousing, wharfing and wholesale empire. After many years in business together the Daltons dissolved their partnership with Thomas later becoming the Honourable Thomas Dalton MLC. While the family lived for some time at 70 Byng Street, Orange, James Dalton commenced the building of a mansion, which he named Duntryleague, in 1876. The house befitted a man of considerable means. The name of the mansion was taken from near his birthplace that is roughly two miles from the aforementioned village of Galbally, with the literal meaning “the fort of the three flags or pillar stones”. The house was built over three levels from bricks made on the property. 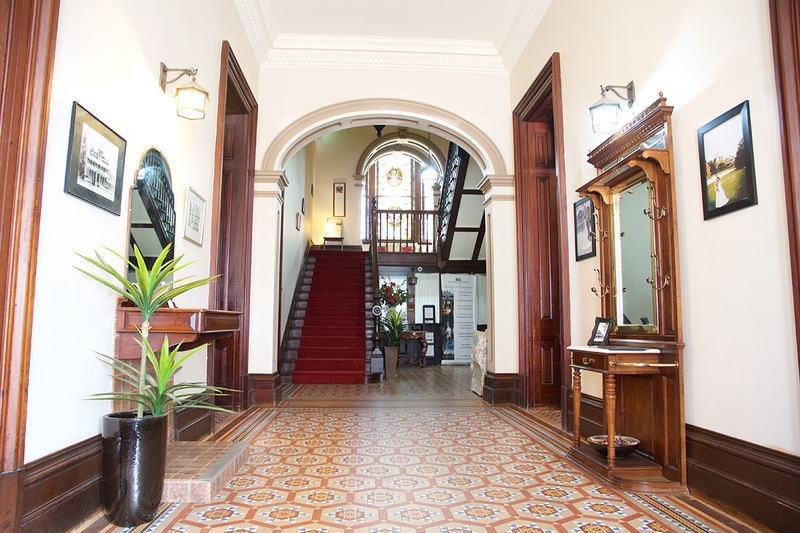 It features a magnificent stairway, wrought iron lace embellishments and iron lace portico. 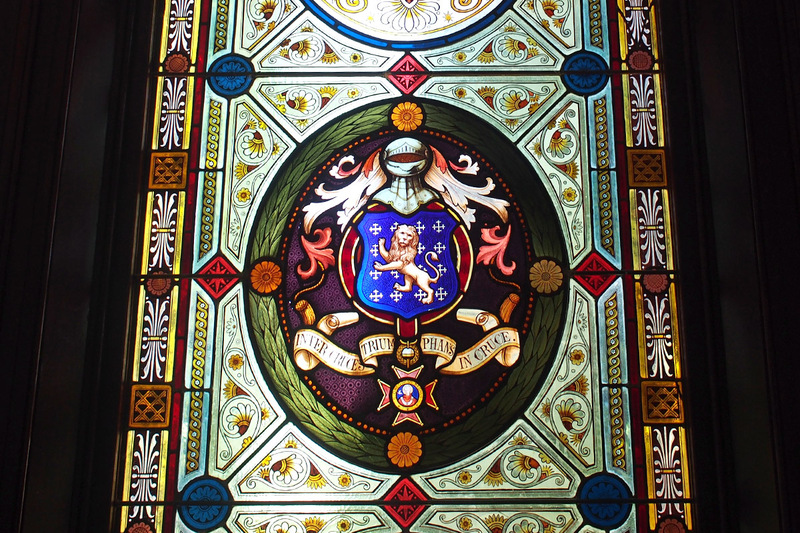 The stained glass window in the mansion was presented to James Dalton on the occasion of his investiture as a Papal Knight for his services to the Catholic Church by The Vatican. It bears his papal crest and the motto “Inter Cruces Triumphans in Cruces”, which roughly translates to “amid the crosses, triumphing in the crosses”. The motto is also included on the leadlight above the front door of the mansion. Other aspects of the building are the considerable stonework which includes the flagstone veranda. All the stone was quarried from Coffey Hill, fifteen miles from Orange on the Cargo Road. The building of Duntryleague was accomplished by well known architect Benjamin Backhouse, who drew up the plans for the mansion. The actual builders are not now known, but the house is of splendid construction and incorporates a magnificent stairway. Two excellent tradesmen from Sydney did the general carpentry. The beautiful cast iron lace embellishments and iron lace portico is the work of Fletcher Brothers of Park St, Sydney. On a stone below the chapel room, the inscription reads Duntryleague 1876. The mansion itself, in addition to its many fine architectural designs, has a tower which provides many excellent views over a wide area. The house has three stories. The two dormer windowed rooms beside the chapel were added later giving a balance to the whole. Many of the original outbuildings on the estate are in excellent condition as are the entrance gates and gatehouse on Woodward Street. A vineyard, orchard and many bores were part of the features of the property. James Dalton presented five beautiful windows to St. Josephs Church in honour of his wife Margaret and other members of his family were similarly honoured by their children in memory of services rendered to the church over many years. James Dalton Jnr lived at Duntryleague until his death in 1919. After Margaret’s death in 1904, James’s widowed daughters and several of his grandchildren came to live with him. On the death of James Dalton, Michael Dalton became the Manager of the Dalton Stores. The property was left to Father Patrick Dalton, a Jesuit priest and in accordance with the rules of society it became a community property. 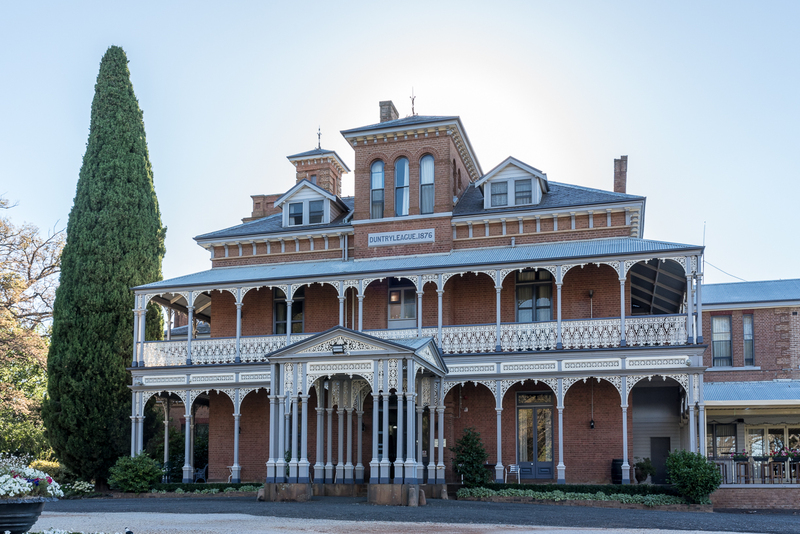 The Bishop of Bathurst rejected the idea of turning Duntryleague into a catholic college. The property was sold to the Orange Golf Club Ltd in 1935. 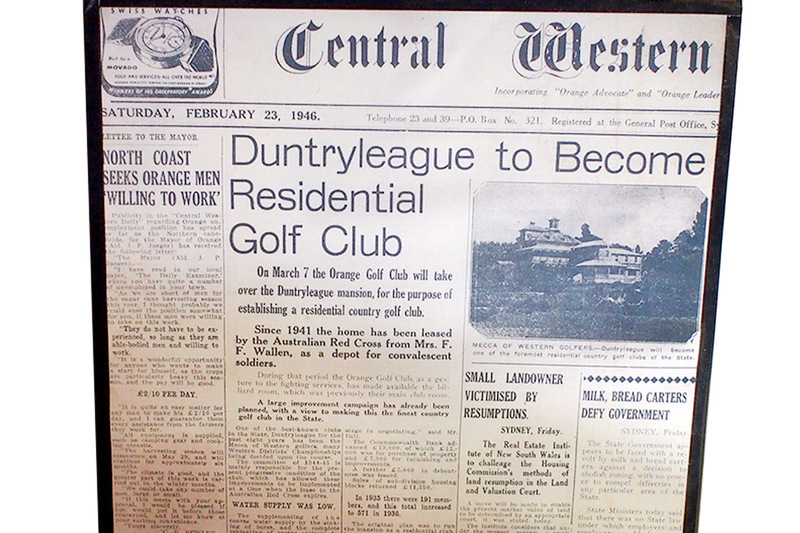 On March 7, 1946, The Orange Golf Club officially took over the running of the mansion for the purpose of establishing a residential country golf club. 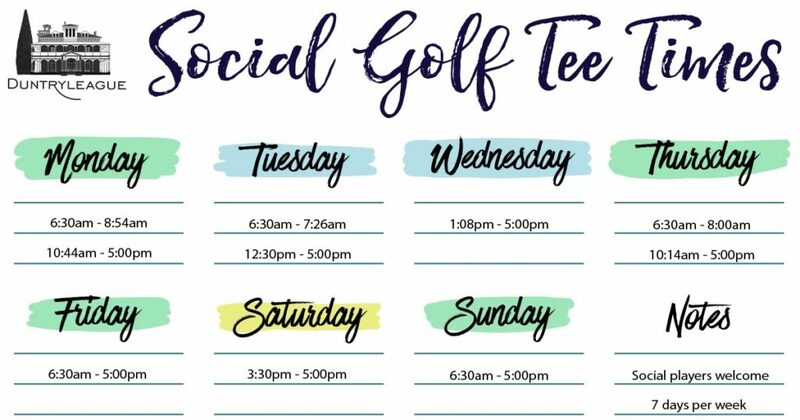 The Orange Golf Club still owns and operates the site and buildings to this day. Extensive development work has taken place, turning the vast property into a championship eighteen hole golf course. The Clubhouse became part of the mansion in 1955 and features a bar, brasserie and function rooms. The Duntryleague Mansion Foundation was created to help raise money to to continue to restore and preserve the mansion so it can be enjoyed by future generations.